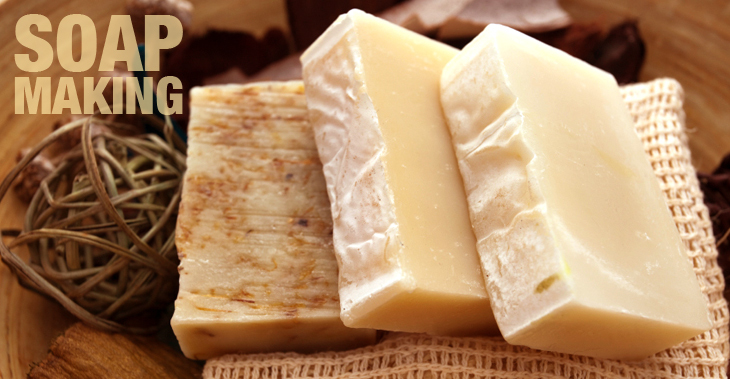 Choosing the right milk soap recipe for your first soap making attempt is crucial to your success. I’ve been making soap for over 30 years and wanted to provide the simplest, easiest milk soap recipe possible. Although many people will go on to do some really fun things with their milk soap recipes, being successful with your very first try can insure the success of your future making milk soap. Before actually getting to the recipe, I want to lay out some basics and tips to give you a general understanding around this milk soap recipe. Homemade soap consists of Fat, Lye (sodium hydroxide) and a Liquid. There are many variations on the type of fat and liquid used. The soap will vary in color from light to dark tan depending on the amount and type of liquid used. Homemade soap will not lather as well as store bought soap, but this in no way affects its cleaning power. Adding coconut oil will give you a bar that lathers very nicely. When making my favorite basic recipe I do use coconut oil and fragrance oil because I love my bars to lather and smell good. If you prefer an unscented soap just leave off the fragrance. Coconut Oil and Fragrance oil are both optional ingredients. Homemade soap does not strip your skin of the natural oils. It contains Natural Glycerin and is very mild to the skin. I was cured of my exzema using my own homemade soap. Glycerin is a by product of soapmaking. It is estream extracted from store bought soap because they can sell it as a pharmaceutical ingredient. Fat: I use Lard as my fat. I have used beef or goat tallow before. Adding tallow makes a very hard bar of soap. Using other fats such as Olive oil, Castor Oil, Palm Oil, etc. you must have a recipe for the exact amounts. Using a combination of fats will require different temperatures and make a softer soap. Lye (Sodium Hydroxide): This is a caustic substance and no longer available on store shelfs. You must order this. Do not try to substitute drain cleaner such as Draino. It is not the same product. Drain cleaners will contain lye, but they will also have other added ingredients. Be care when using lye not to breathe the fumes or splash it on anything. ALWAYS ADD THE LYE TO THE LIQUID, never the other way around or it could explode. Always use stainless, any other metal will be ruined. Use in a well ventilated area. When lye is added to liquid it gets very hot so be careful. NOTE: Lye soap must be aged 4-6 weeks, after that amount of time the lye has soponified and the soap no longer has any live lye in it. Liquid: I use a combination of water and milk. Any liquid can be used however I find it best to dissolve the lye crystals in water first. The total amount of liquid must equal the amount used in the recipe. Use only distilled water. Tap water or well water can be hard and contain trace amounts of other minerals. If lye is added to milk it will turn some very strange colors and could separate. The final soap product will be light tan to dark brown in color depending on the fat content of the milk. To help avoid some this, the milk should be very cold, maybe partially frozen with ice crystals in it and added after the water and lye mixture has a change to cool. Coconut Oil: Coconut oil will also add moisture but care must be taken not to add too much. If too much is used it can be drying to the skin. Coconut oil is added by replacing some of the fat cup for cup or ounce per ounce at a ratio of 20-30%. Do not use more than 30% coconut oil. Fragrance : Fragrance can be added to the soap but you must use essential oils or fragrance oils. Do not use cologne or anything with alcohol or toilet water in it as this will affect the soaponification process and may cause your batch to fail. Fragrance oils are added at the rate of ½ ounce per pound of fats used, this is just a guide. Some oils will tell you how much to use, others will be trial and error depending on how strong you want your soap to smell. For my basic soapmaking recipe I am using 4 oz. of fragrance oil for a nice moderate smell, you can adjust up or down depending on how you like it. Soap Molds: Soap will come out of plastic pretty easy, but it also helps to lightly grease the molds using petroleum jelly. I have used old frosting tubs or margarine tubs to hold soap. I could cut 3 nice round bars from them. It took about 10 containers to hold the soap. If using a cardboard box you would have to line it with plastic wrap or freezer paper, shiny side up. It will peel off easily and you can cut the soap and separate the bars for aging. Aging Soap: The bars need to be separated so that air can circulate around them. I lay them on a tray or in a cardboard box and slide them under my bed or put in an out of the way place to age. Lye soap cannot be used until it has aged 4-6 weeks. Everything you need for this milk soap recipe is available at Hoegger Supply. Large stainless bowl or pot, must be large enough to hold the total of all the ingredients. Rubber gloves for safety in stirring, although I must admit I don’t use them, I am just real careful not to get it onto my skin. Newspapers or old blankets to insulate the soap during the soaponification process. Note: If you want a plain soap you can leave the fragrance oil out of the milk soap recipe. 1. Have prepared molds ready before you begin. 2. Place the water into a large stainless bowl or pot. Carefully stir the lye into the water. Be careful it will get very hot. Hold your face away from bowl and do not breathe the fumes. If you can do this part outside it would be best. If doing inside your house make sure to do it in a well ventilated area. Keep white vinegar on hand in case you splash any on your skin. Vinegar will deactivate lye. 3. Allow the water/lye mixture to cool to 85 degrees. This can take an hour or more. When the mixture is cool add the cold milk, stir. It will heat up a little again, but not as hot. Let cool again to 80 degrees. While its cooling, prepare the fat and oil. 5. When the Lye mixture is 80 degrees and the fats are 90 degrees you will mix them together. 6. Slowly pour the warm fat/oil mixture into the Lye mixture, stirring all the while. It is important to pour the fat in a small steady stream while stirring constantly. 7. Stir until the mixture reaches the consistency of honey. This can take 25-45 minutes. Add the fragrance, slowly stirring in until mixed thoroughly just before pouring into the mold/molds. 8. Pour the soap mixture into prepared molds, cover with a layer of plastic wrap. Then lay some newspapers and a blanket on top to hold in the heat. The soap will get warm and harden. It is important for the soap to hold the heat for a while. After 24-48 hours the soap can be removed from the mold. 9. Remove the soap from the molds, cut into bars and lays the bars or stack them in such a way that air can circulate around them. Place them in an out of the way place to age for 4-6 weeks. Turn them a couple of times during the aging process so that they dry evenly. 10. After 4-6 weeks the soap is ready to use and can be packed into storage containers. Please before attempting this recipe, put it through a lye calculator. You should never weight your soap making ingredients by using a “cup” please invest in a small scale and weigh by ounces. Well, you’ve done there a very good job..Wow it’s working..Now I make my own soap..Thanks for posting this very informative procedures. Please help….I used the recipe in the magazine and unfortunately it didn’t get hard. It also has a greasy feel to it. I tried heating back up a small amount but it didn’t set up either. Is there anything else I can do? very interested in soap making…can you jersey cow milk or just goat milk? Can you use veg. Shortening instead of lard ? I am wanting to make my first batch but part of me is afraid of messing up. Thanks Marion, we are looking into doing some how to make soap videos next year. Please HELP ME! I just purchased 40 pounds of leaf fat to render into lard. Can I use this for soap making. I meet Mary Jane at the Mother Earth News Fair in Seven Springs, PA and I just love her! 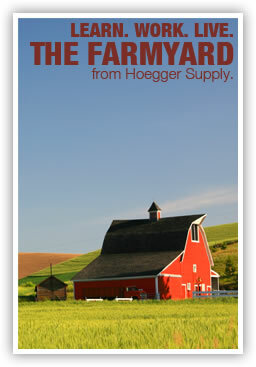 I talked with her at length about fresh milk right from the farm using my new Hoegger Farm stainless steel tote. Loved her classes on soap! I am hooked on doing it all now. Thank you Mary Jane and Hoegger Farms for all your fatstic equipment and friendly service.